This is my first attempt at an scp I thought I Did fine but -5 says I did not! Pictured: Scp-2952 Prior to containment. Addendum 2952-a: It should be advised that Dr.Bright(s) may no longer use SCP-2952. NOR MAY HE EDIT THIS PAGE! **Though it is understood how this works it is not understood to the extent of whitch it works therefore It's class is neither yet Safe nor Euclid. Full drafts are not allowed in the forums. Please link to your sandbox or at least put it in a collapsible. I'm also not entirely sure why this needs to be its own article, as I can see it just as easily being a sentence on the "Things Dr. Bright is Not Allowed to do" page. 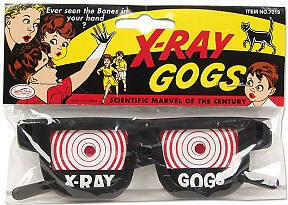 In fact, this may already be there as x-ray vision is a very common science fiction trope. The formatting is also off in a way that I can't tell if some of it is intentionally like that or if you forgot to finish some commands. Broken code here: " Object Class: Pending **", though I'm not sure why this is "pending". If you can lock it in a box and it won't try to escape or cause catastrophic damage when left alone, then it's probably safe. See Object Classes. The whole "keep this away from Doctor X" thing is not something users include in their articles any more. That's now referred to as "lolfoundation" which basically saw in-universe characters be completely incompetent at their jobs, the site has since migrated away from that and articles are written as if, in-universe, whoever is reading the document is going to abide by it and not mess up. Lolfoundation is a "canon" that can be viewed here, as well as the tales that have been written for that canon, but as for including that kind of stuff in an article, well it just isn't done anymore since it has fallen out favor. Try reading some of the Top Rated Pages This Month to get a feel for what the community's current standards are. You've got some extra words scattered throughout the draft, for example: "SCP-2952 is a pair of seemingly ordinary X-Ray specs like that found". I'm gonna go ahead and recommend that you read over your work after it's written and before you ask for critique, that way you can catch these errors on your own the and the critique can be focused on the concept itself. You've also got some random capitalization in here, "Classic comic books", classic shouldn't be capitalized as it isn't a noun. The tone in the draft is off, the inclusion of exclamation points when pointing out its anomalous property is an example of this. I recommend giving this essay a read: Clinical Tone Declassified. That essay offers good tips on how to maintain clinical tone throughout the draft as well as pointing out things you might want to avoid. The object itself isn't very interesting and its been done several times before outside of written media. The "glasses that give you x-ray vision" trope has been done countless times and this doesn't introduce anything new or exciting to the trope, honestly. There's some spelling errors in this as well, for example: "non sentiant", sentient is the word you are looking for here. I also recommend running this through a spell checker prior to posting the draft for feedback. That last note isn't funny and really doesn't add anything to the draft. Overall, I honestly don't see this working out considering the aforementioned errors. I just don't really think this is something that would warrant full documentation and all of the "humorous" kind of make it seem more like something that would be found on the list Anakin already mentioned. If you're really set on the idea then I recommend you take it over to the Ideas and Brainstorming forum before you try to rework the article. Getting the concept fleshed out more and getting a general backstory worked out beforehand will make the writing process go a lot smoother. Good luck to you.